St. John's Wort comes from the Hypericum plant. During the Roman times, hypericum sprigs were placed as offerings on the statues of gods. St. John's Wort normally flowers at summer solstice on or around St. John's day on June 24. Thus, this perennial flowering herb was named "St. John's Wort" and is usually harvested around the same time that it blooms. This herbaceous perennial provides a calming and tranquility effect on the mind and help overall emotional balance, while providing a sense of grounding and spiritual connectiveness. 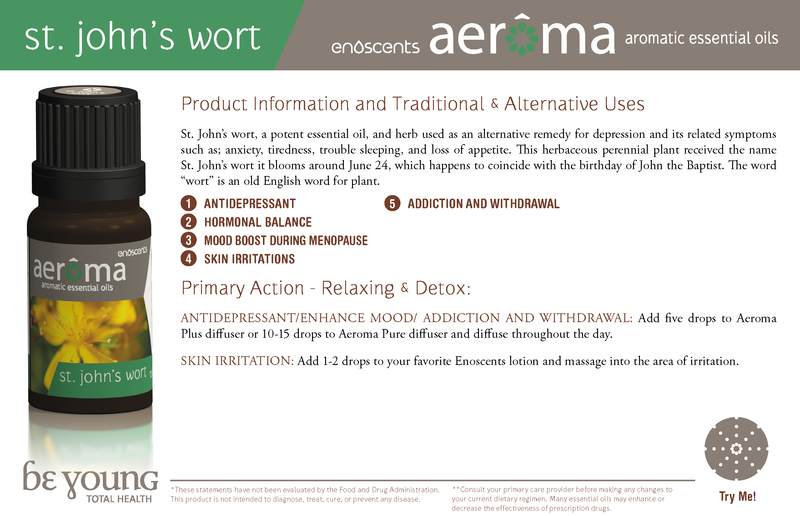 St. John’s Wort is not only a go to oil for the mind but has many rejuvenating effects on the skin and muscles as well. Providing a perfect trifecta for the mind, body and spirit. Appearance: Colorless to pale yellow liquid having a characteristic aroma.